I recently received a package in the mail from Lifestyle Bakery, who have a number (20 to be exact) of gluten free products including bread, muffins, pizza bases, and seasonal products. They cater for a number of dietary requirements and therefore also have dairy free, soy free, yeast free, egg free etc products (you can search products on their website by dietary need here). 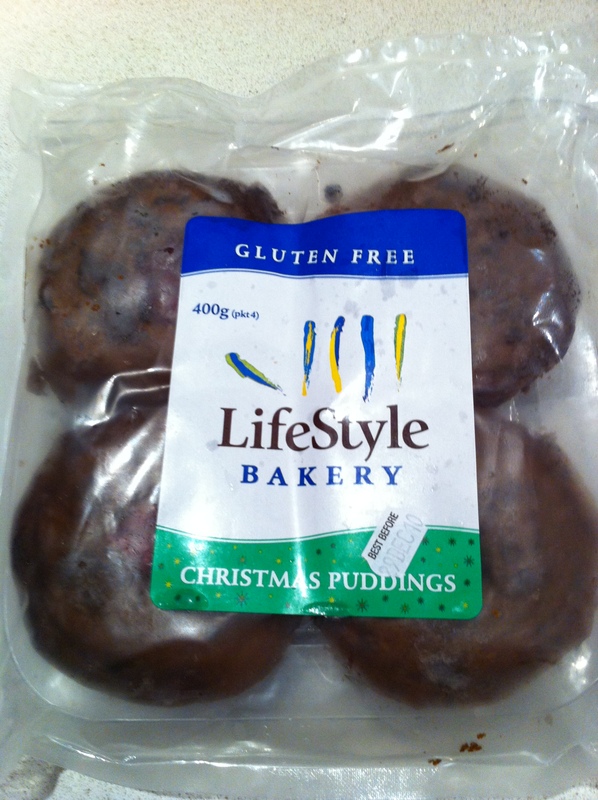 The package I received contained a pack of Christmas puddings, bread crumbs and a loaf of their Chia Seed bread. 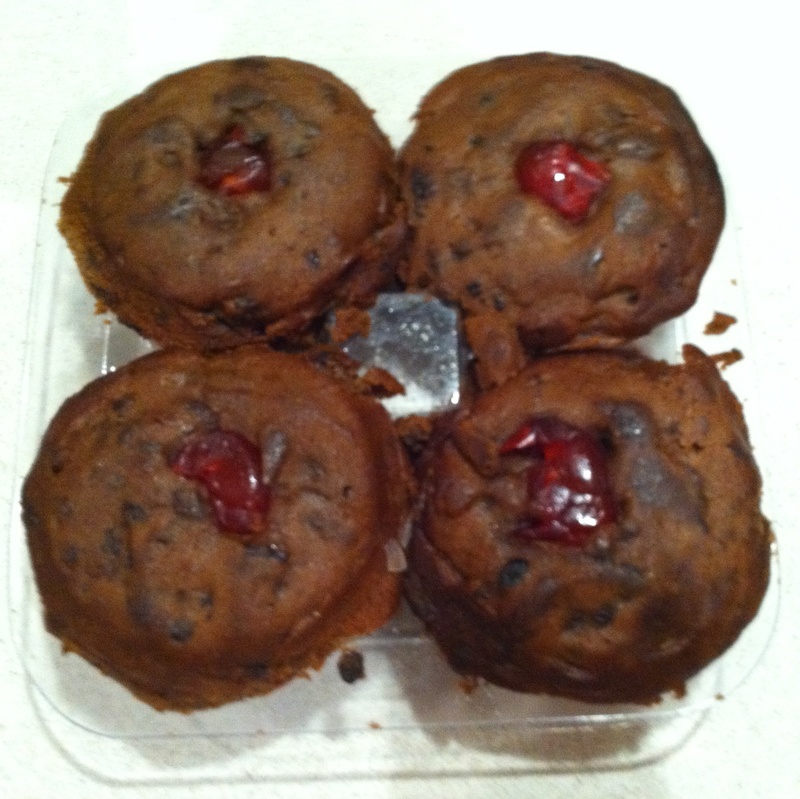 I was very excited to try the Christmas puddings having recently just made two Christmas cakes, a Vitarium packet one and one from scratch and wanting taste the difference. With the bread crumbs I also plan to make a Christmas pudding from scratch. 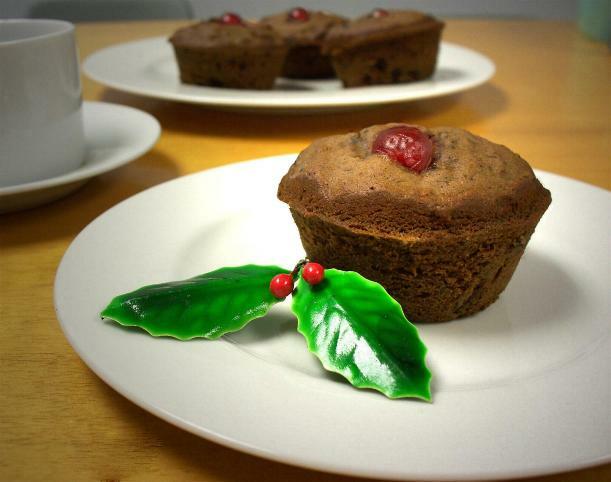 When writing this blog post I decided to do a bit of research into the difference between Christmas cakes and puddings. Apparently cakes tend to be iced while puddings should be eaten with custard and puddings are steamed whilst cakes are baked. Traditional Christmas puddings are also supposed to have suet in them (mutton or beef fat), however I have a feeling that isn’t the case anymore (though correct me if I am wrong!). Lifestyle Bakery had conveniently sent me the link for recipes for buttered rum sauce and brandy custard which you can find here. I am a massive fan of brandy custard and when I was younger and didn’t like Christmas cake/pudding all that much I used to drown it in brandy custard. 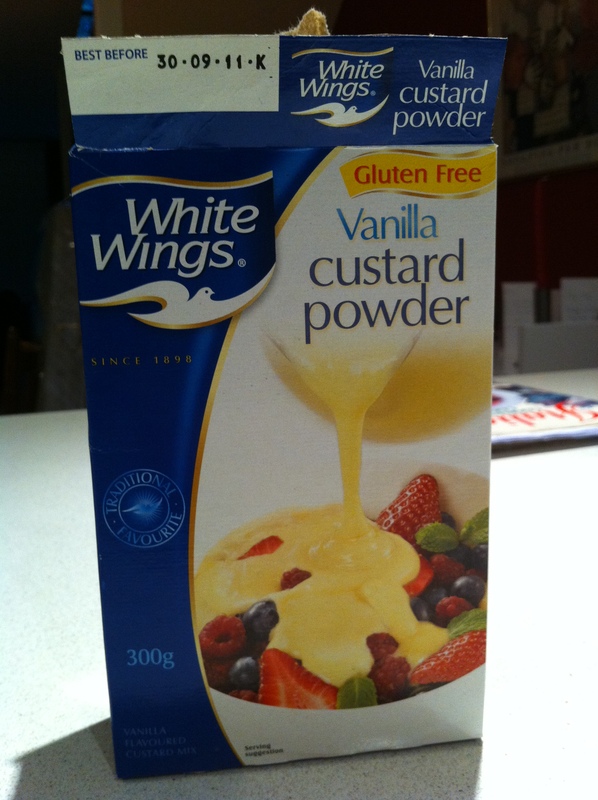 However, unfortunately I forgot to take Lifestyle Bakery’s recipe for brandy custard to the supermarket with me, so instead I bought a packet of White Wings Gluten Free Vanilla Custard Powder from the health food isle of Coles. 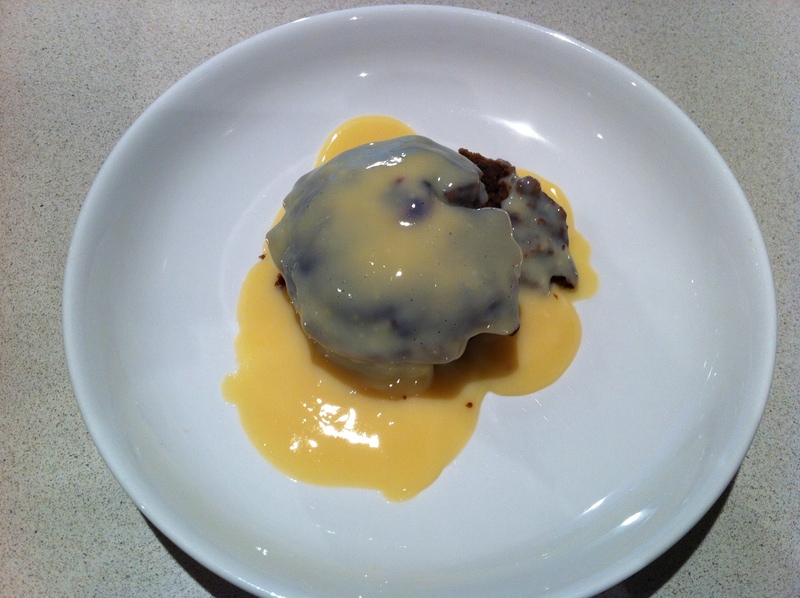 I made up the custard following the directions on the packet and then added a generous dash of brandy towards the end. I heated the Lifestyle Bakery Christmas puddings in the microwave for about 20 seconds (interestingly they started to split when I did so – not that this mattered) and then covered them with the brandy custard. Compared to the Christmas cakes I recently made, the puddings had hardly any fruit, had less flavour and therefore definitely needed the custard. However they were moist and were a satisfying dessert. Personally I love to make things from scratch rather than buy them or make them from a packet, therefore I am looking forward to making my Christmas pudding from scratch using a recipe which includes bread crumbs (which seems strange to me but I have been told is a ‘winner’ and when doing research about Christmas puddings I actually found that bread crumbs are a common ingredient!) – so stay tuned for the blog post! Do you prefer Christmas cake or pudding? And do you have any differences to add? Do you know how many of those puddings I eat? Piles and piles!! I love them and make them my special christmas time indulgence. I actually like to eat them cold like a muffin. My son likes them in his lunchbox too. I’ll have to try that custard. I didn’t know white wings did a custard powder. I just ate one of these cold like you suggested and it was really good! I think I prefer it that way rather than heated up. I can see how they would be great for the lunchbox!